Aisha Mirza is, as they write on their website, “interested in body hair, madness and race.” In their essays, published on RaceBaitr, The Guardian, and Buzzfeed, Aisha calls out The Big Sick’s treatment of women of color; in another article, they point out the hypocrisy of those who write gimmicky articles about leaving London, and they tell us about how they stepped on a white woman’s yoga mat, leading into a discussion about how dangerous white women can be. Aisha’s writing is acerbic, angry, and very much needed. Born in Northeast London, Aisha now lives in Brooklyn. This week in “things we like,” they share with us some of their favorite things, which includes a blog about Afrofuturism and the Caribbean and African diaspora in Britain, the music of Kadhja Bonet, and their grandmother’s mince puff pastries. 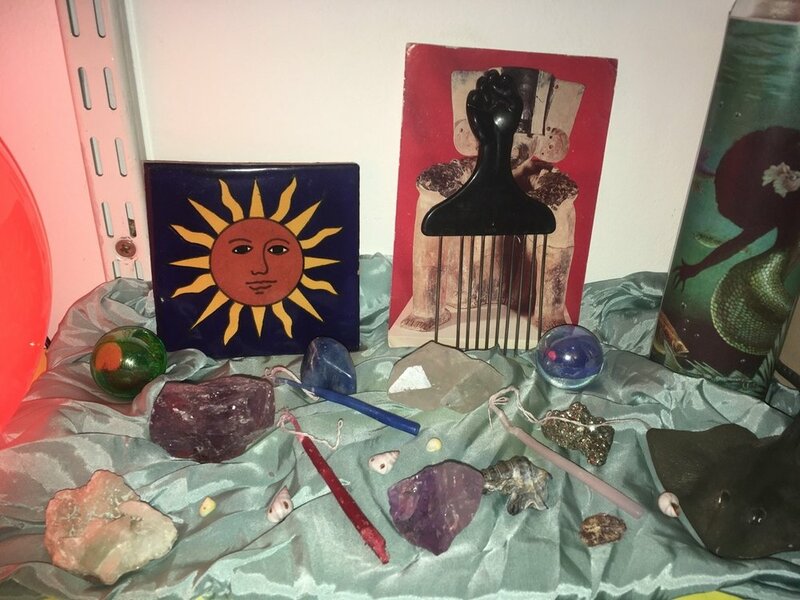 The best thing I’ve read recently is my best friend’s blog “Justine of Swords,” where they are mapping their research into Afrofuturism and the Caribbean and African diaspora in Britain. From their glitch self-portraits to the images of people of color in medieval times, the curation is perfect. It is exactly the right kind of breathing space I need right now. I just saw my grandmother for the first time in a few months and after asking me if I was a boy or a girl she fed me homemade mince puff pastries and I really liked that. You can find more of Aisha’s work here. Thumbnail photography by Aisha Mirza.